There are countless reasons why people would lust after an Alfa Romeo. For some, the idea of driving (let alone owning) an Italian sports car is a goal, as an aspirational status symbol that one ascends to. The more casual enthusiast might simply be captivated by such a vehicle’s intoxicating aesthetic, or their understanding of its performance capabilities. Others may simply be Alfa Romeo enthusiasts, recognizing the unique appeal of their 4C coupe and (convertible) spider. For those interested in a 2018 Alfa Romeo 4C – Albany, NY makes for an ideal destination thanks to Alfa Romeo of Albany. But how well do you know the 4C? As mentioned, the 4C is minimalist in terms of its approach to technology; but minimalist is far from ‘niente’. Bluetooth-enabled, the 4C’s infotainment system is built around a 7-inch driver display and an Alpine sound system. Equipped with CD, HD, and Satellite radio along with USB inputs there are no shortage of ways to enjoy the soundtrack of any drive. 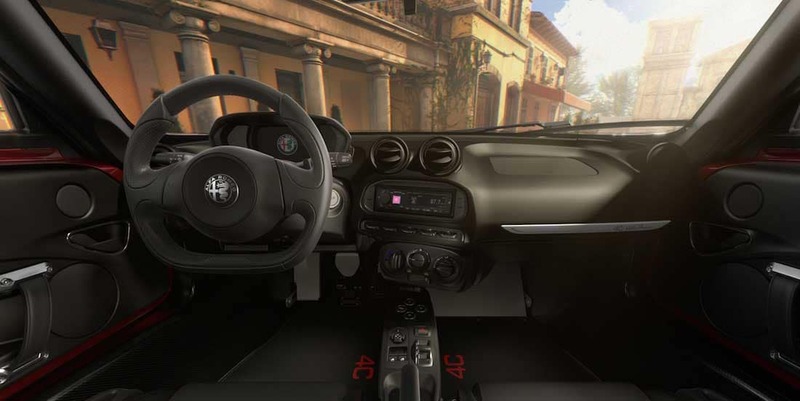 Alfa Romeo has no interest in disappointing enthusiasts when crafting a stylized interior. Tactful use of leather and suede with bold stitched enhancements create a strong aesthetic, further enhanced by options carbon fiber trims. As seductive as it’s exterior, one is inclined to fall into the 4C and is forced to climb out. Make no mistake, the cockpit of the 4C is built with both the driver and the drive itself, in mind. The 4C’s purposeful weight reduction may mean fewer amenities, but that decision speaks to refinement. The firmness of its seating and overall ride quality compliments the 4C’s stiff suspension. This is not a vehicle intended to accommodate or dedicated to compromise. From it’s styling to its overall dimensions it embodies Alfa’s unapologetic intentions; and yet, it’s even more appealing as a result. Seductive. Undeniable. Voluptuous. These are just a few words selected to describe the ‘captivating elegance’ of the 2018 Alfa Romeo 4C. Needless to say, after five model years, the 4C remains deserving of the ‘Most Beautiful Concept’ award bestowed upon it, at inception. Undeniably Alfa, the 4C is sculpted in a manner so on-brand that its heritage is reinforced with every curve and contour. First impressions linger, and Alfa knows this well. A triangular ridge, runs forward from the windshield along the hood, converging in a triangular point that overlays the front fascia. Distinctive, yet never distracting, Alfa’s iconic Visconti badge rests upon it, subtly conveying forward motion, while reminding you that you’re looking at something truly special. Perched upon ridged contouring, its xenon headlights imply an intense focus and are the first hint of the profile to come. Step around to the side of the 4C, and the impact is immediate. The lateral countering that defines the front fascia flows seamlessly across the door panels, forming the side air intakes that amplify the 4C’s sporty intentions. Only now do you realize its low, wide stance, like that of a crouching animal. With an almost fastback styling, the 4C’s distinctive design tributaries converge into rear fascia that can only be describes as iconic. A subtle rear deckled spoiler accents undersized hood access, while minimalist, circular taillights give the impression of being watched. A tapered lip frames the license plate and draws attention to the one-two punch of the 4C’s dual exhaust. Every inch of the Alfa Romeo 4C represents overwhelming intention. In discussing the 4C’s performance stats, it’s hard not to take notice of its engine spec. While a 1.7-liter four-cylinder may seem a departure from Alfa’s sporting legacy, it’s important to recognize that the 4C carbon-fiber monocoque chassis is just one feature that has a huge impact on the vehicle’s weight. With a total curb weight of (just under) 2500 LBS, the North American 4C requires far less power in order to make it fly. Mated to a six-speed dual-clutch automatic transmission, the 4C’s all-aluminum 1750 turbocharged engine delivers 237 and 258 lb-ft of torque. Not only does this deliver a top speed of 160 mph, but it serves up a breathless 0-60 sprint of 4.1 seconds, reinforcing the 4C’s lineage. Offering 28 mpg (combined) and a variety of Alfa DNA driver modes (Natural, All-Weather, Dynamic and Race) it is simply fun to drive. Offering an iconic soundtrack (courtesy of an Akrapovic dual-mode titanium exhaust) the 4C doesn’t purr like a domesticated kitten, it roars to remind you that it’s a well-styled beast. We appreciate your interest in our inventory, and apologize we do not have model details displaying on the website at this time. Please fill the form out below and our team will quickly respond, or, please call us at (518) 417-2608 for more information. For decades, Alfa’s relationship with the North American automotive market had been relegated to high-end imports and resale of vintage models. And yet, back in 2011, change was blowing in ‘una brezza’ as Alfa chose the stage of the Geneva Motor Show to unveil their new 4C concept car. Named the ‘Most Beautiful Concept Car of the Year’ the 4C gained immediate esteem in the eyes of the industry. A limited initial run only served to increase the anticipation. 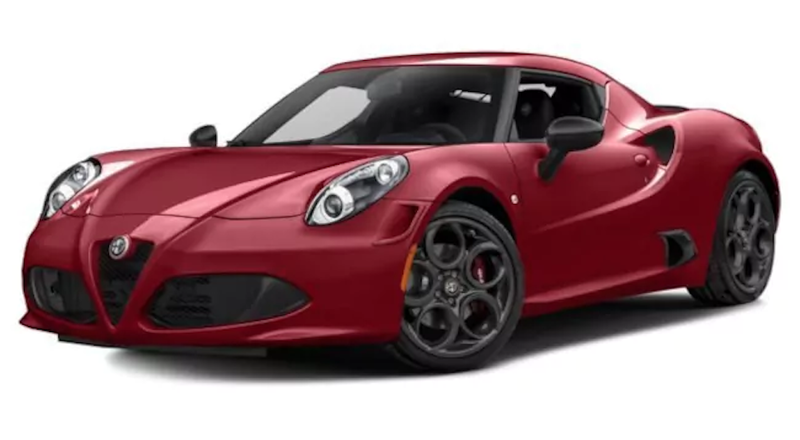 But the true accelerant would come in the announcement that the 4C would reach North America during its first model year, making it the first Alfa Romeo to do so within the 21st century. This alone would have been enough to distinguish the 4C from its stablemates and competitors alike. However, the 4C was a clear representation of everything that an Alfa Romeo should be: impeccably styled, superbly engineered, and absolutely unapologetic. Whether you opt for the coupe or (convertible) spider, the 4C creates a truly unique experience. It succeeds in the clarity of its intentions and caters to those in need of status, as well as those intoxicated by aesthetics or performance. And for Alfa Romeo enthusiasts, it stands as a testament to the appeal of this enduring luxury performance brand.